The interaction and complexity of how computers and other internet-enabled devices have become extremely woven into our day-to-day lives. This increase has led to new technical support challenges. With our total support package we make sure your customers can take advantage of the basics of utilizing your service as well as enjoy it with a multitude of other devices and programs. We provide solutions 24x7 via, phone, email and remote presence support to tailor our craft to your needs and the needs of your customers all at the same cost and with no hidden fees. Our call center in Northwestern Ohio started over 23 years ago helping people get on some of the first wide-spread networks in our state. Together with local telephone companies we helped define the scope and depth of many company's technical support needs. We support all major Operating Systems, tablets, cell phones and any major internet software that goes along with using your services. What do we support, exactly? View our dizzying array of supported CPE devices and Cell Phones/devices. This sounds good, but also expensive. Utilizing an external call center actually is a great way to save money. In any local contact center, labor costs are typically the largest annual expense component, exceeding 60% of total operational costs . With our assistance you won't have to personally commit your staff to these duties or add even more employees to provide round the clock coverage. We have you fully covered. When we handle your Tier 1 and/or Tier 2 support needs, it takes the weight off of your staff. They will finally have time to focus on direct customer relations and other advance revenue outlets. And since we're proudly based in the United States, you'll never have to worry about a language barrier to overcome. We have extremely competitive pricing and discounts for bundling other services such as our Customer Care program. Contact us today for a quote and compare it to your current system, we're sure you'll be very surprised at the savings to be had. You also don't have to be bothered with selling us. We don't push "security" software products on you to re-sell or obligate you to any click-thru money making schemes to "redo your home page", either. We make our money by providing your customers with the highest level of technical support you can find - that's it. We also provide customer email exchange support. We can check any support or "help" email address you currently have setup and reply to customers within any chosen amount of time. Most users like the ability to reach-out for support via various methods and the second most likely is email support. Included in the price of our service is our Remote Support Assistance. To better assist customers we can remotely connect to nearly any computer and view and interact with the machine as if we were sitting right in front of the system. The process starts with a simple customizable download. Our software has a temporary footprint install and completely removes itself when done. 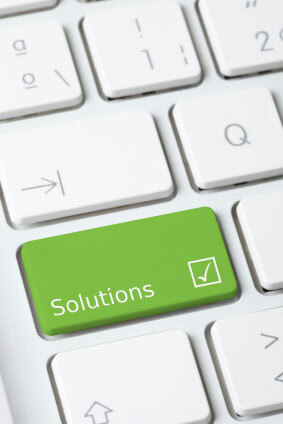 As with any remote access process, our system is completely secure. The brandable deployed interface displays a random security number unique to each session used to initiate the encrypted connection. Once the session has ended the software completely removes itself from the system and the session is severed entirely.